With pockets full of cash and cars stuffed with empty coolers, beer lovers are heading to Vermont this weekend in a pilgrimage to craft beer nirvana. The state's holy trinity of brewers — Hill Farmstead of Greensboro Bend, Lawson's Finest Liquids of Warren and Alchemist of Waterbury — are each hosting beer events this weekend that have aficionados journeying to a scenic slice of rural northern Vermont. The highlight of the weekend, and perhaps the most-anticipated Vermont beer event of the year, is the fourth anniversary celebration of Hill Farmstead — named top brewery in the world this year by RateBeer.com. The brewery will take over the taps of five bars and restaurants, starting on Friday night in a tiny town just south of the Canadian border and continuing throughout the weekend in the craft beer hub that is Waterbury. To be clear, beer has become big business in Vermont. Breweries in the Green Mountain State had an economic impact of more than $196 million in 2012, ranking the state behind only Oregon and Colorado in per person economic impact, according to Brewers Association data. The state has been at the center of the East Coast craft beer explosion, which has seen the number of breweries nationally (more than 2,800) reach a level not seen in this country since the 1880s. The explosion has also cemented "beer tourism" as a growth industry, and turned events like Philly Beer Week — which starts next week — into major city happenings with significant economic impact. About 40 varieties of Hill Farmstead will be on tap this weekend in the three Waterbury bars participating in the party, including rare beers, collaborations and barrel-aged selections. "We save kegs of almost everything we make for our events," brewery owner Shaun E. Hill said. Hill said he is looking forward to tasting his Civil Disobedience #6, which is a blend of several of the brewery's selections aged in wine barrels for more than a year. Farmstead anniversary celebrations have been held as weekend camping and beer events on the Hill Farmstead land in Greensboro Bend — land that has been in the Hill family for eight generations. The party was moved to Waterbury this year as Hill continues work on an expansion of his brewery. "Forty years ago, Vermont was known for maple syrup. Twenty years ago, we were known for Ben & Jerry's. Now we're known for brewing the best beer in the world." The festivities actually start on Friday night at Parker Pie, a gourmet pizza shop in West Glover that will host the kickoff to Hill Farmstead's anniversary celebration. The heralded pizzeria, nestled in a picturesque town in Vermont's Northeast Kingdom, is slated to have 15 Hill Farmstead lines on tap. The highlight of the Parker Pie tap night will be the debut of Le Sarrasin, a saison Hill Farmstead brewed in collaboration with Belgian brewer La Brasserie de Blaugies. The brew will also be released in bottles in the next couple of weeks, Hill said. It'll be a quick turnaround for hop heads as Sean Lawson — whose Lawson's Finest Liquids is the smallest of the triumvirate and the most difficult to find — kicks off Saturday with the release of his first-ever batch of Triple Sunshine triple IPA at 8 a.m. at the Mad Taco restaurant in Waitsfield. Lawson, who has quickly become one of the most celebrated brewers in the country, will tap the first cask of the triple version of his top-rated Double Sunshine during a breakfast buffet, at which numbered order forms will be handed out for Lawson's monthly bottle sale at the Waitsfield Farmers Market. At the market — Sean and his wife Karen typically sell the bottles themselves — beer lovers will be able to buy three bottles each of the Triple Sunshine, Ava IPA and Spring Fever Session IPA, and two bottles of Lawson's Fayston Maple Imperial Stout that has been aged in rum barrels from Mad River Distillers. The market runs from 9 a.m. to 1 p.m.
Expect the crowd leaving Lawson's to throw their IPAs into their coolers and hightail it 20 minutes up Route 100 to Waterbury, where John Kimmich's famed Alchemist brewery will hold a "pop-up" truck sale starting at 3 p.m.
Kimmich, whose Heady Topper Double IPA is one of the highest-rated beers in the world, will offer mixed cases of his Beelzebub American Imperial Stout and Focal Banger IPA. Each case is $75 and sales are limited to one case per person, per trip through the line. Kimmich said on his blog that he expects 500 cases to sell out in about 90 minutes. 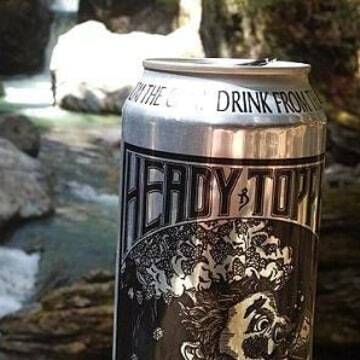 In addition, Alchemist will deliver 100 cases of Heady Topper to Craft Beer Cellar in Waterbury, across the street from Kimmich's former Alchemist brewpub, a longtime craft beer haven destroyed during Hurricane Irene and reborn as the Prohibition Pig. Beelzebub, which was recently awarded a bronze medal at the World Beer Cup, and Focal Banger will also be released in kegs to Waterbury bars. Lawson plans to release Sip of Sunshine Double IPA to bars in northern Vermont as well. "Forty years ago, Vermont was known for maple syrup. Twenty years ago, we were known for Ben & Jerry's," said Brennan Neill, director of on-air fundraising for Vermont's statewide public television network. "Now we're known for brewing the best beer in the world." Anyone who can't make it to northern Vermont, but still wants to partake in the Hill Farmstead party, can stop by Worthy Burger in South Royalton. Starting at 11:30 a.m. on Saturday, Worthy Burger will run 10 lines of Hill Farmstead and one rare Belgian beer. The two beers that will have craft lovers salivating at Worthy Burger are Neither, a double IPA collaboration between Hill's Grassroots Brewing (the label he uses for collaborations), England's Siren Brewing and Florida's Cigar City Brewing. Worthy Burger will also be pouring Cantillon Classic Gueuze, one of the highest-rated Belgian Lambics in the world, and nearly impossible to find on draft on this side of the Atlantic Ocean. Beer hunters can also look for the release this weekend of Fair Maiden Double IPA from Foley Brothers Brewing in Brandon. 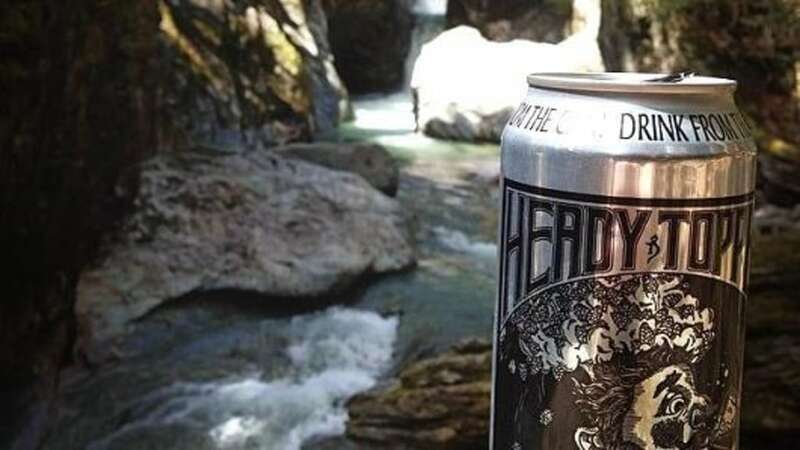 Further north on Route 7 in Shelburne, look for cans (if they are still left) of Fiddlehead's 2nd Fiddle Double IPA and the brewery's Hodad Chocolate Vanilla Toasted Coconut Porter. For beer drinkers who want to eschew the crowds and say they were "there from the beginning," this weekend also marks the grand opening of Burlington Beer Company's taproom in Williston. Hill said that he believes the coveted handcrafted ales of northern Vermont fit in squarely with the heritage of the land. "People have been doing very special handcrafting in cottage industries in northern Vermont for a long time. ... People in this area prefer to work for themselves," Hill said. "Hopefully this influences and helps other small businesses to thrive."